We’re excited to announce our newest Synergy Member is Just Service (Greendale, WI)! 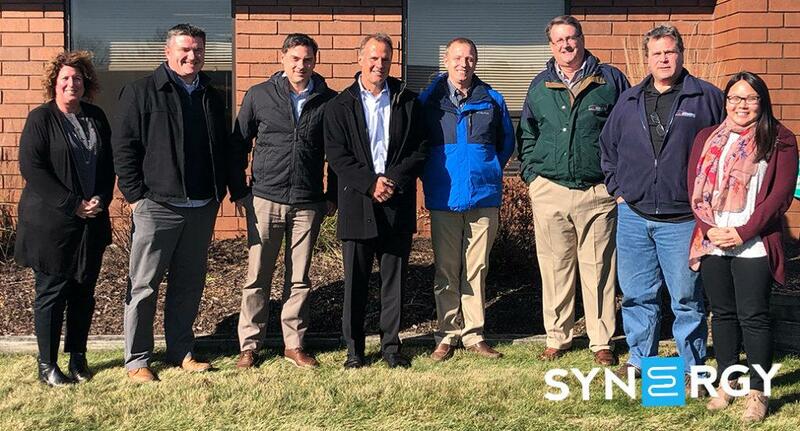 This month we had the opportunity to travel to their office to meet their team and tour their facility. Thank you to Steve Stachorek (Atomatic) for joining us on the visit and to all of you for feedback and votes. About Just Service: Located just outside of Milwaukee, Just Service provides mechanical, HVAC, plumbing, energy management and engineering services to commercial facilities in southeastern Wisconsin and northern Illinois. Our mission is to provide high value mechanical services specifically tailored to customer needs, using value based pricing derived from data driven management. We will maintain the highest level of integrity, ethics, and trust, resulting in a progressive environment that nurtures innovation, efficiency and continuous improvement for our customers, employees, and the surrounding community.